​Something that really stuck with me throughout this program was that us, as teachers, are preparing students for jobs that might not exist yet. That was a scary thought. If the jobs do not exist yet how do I get them ready for it? Well the answer is in the letter C, 4 C’s to be exact! 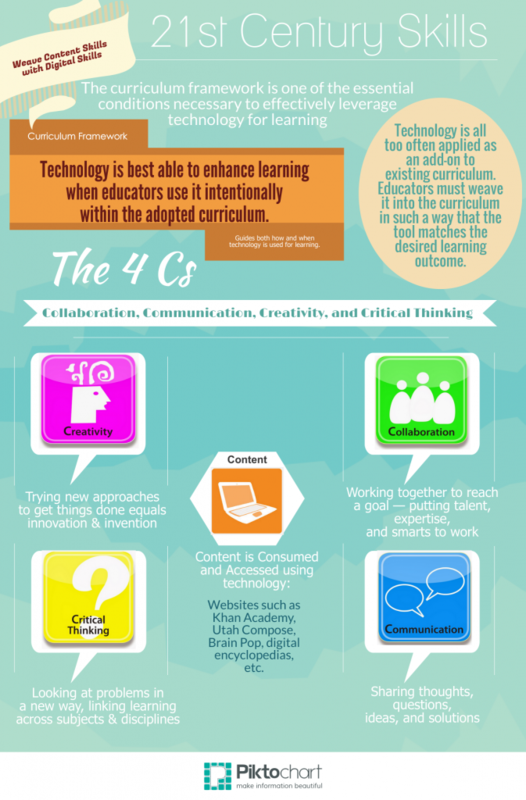 The 4 C’s stand for Communication, Collaboration, Critical Thinking, and Creativity. Believe it or not, teachers have the ability to bring out the four C’s in students. Click on the P21 picture to get more information.